The Telegraph in Schools is India's largest standalone newspaper by and for school students. The newspaper is a movement built around a weekly 16-page newspaper that is written by students and is for students. TTIS gives students the platform to participate in producing the publication by giving a first hand training to the students to conduct an interview, reporting, reviewing, writing and editing. 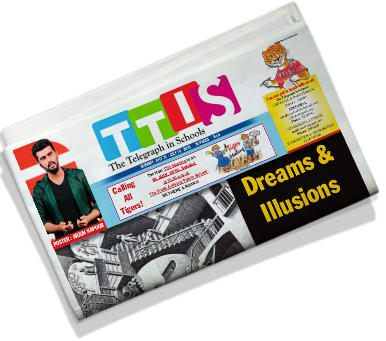 TTIS teaches the young to have a voice through the sections like letters to the editor, 'open forum', 'big question' and more. TTIS is spun around the tagline 'A head start for growing minds', thus instilling in each student the will to be a confident individual as they grow to be the future citizens of the country.